Huawei launched its flagship smartphone, the P10, at the Mobile World Congress held in Barcelona, Spain. Expected to be an upgraded P9, the P10 is designed to be the Asian company’s challenger to the smartphones of larger companies such as Apple and Samsung, even if the P10 can barely measure up to those companies leading smartphone products. The P9 was perceived as a success for a mid-range smartphone. Now the P10 presents improved software, processing power, and Leica cameras. The P10 comes in standard and P10 Plus versions. The external build is made of metal, with a construction designed to be flatter than most smartphones, making it easier to hold in a single hand. It is supposed to come in 8 different colors, all of which have a glossy finish and a “diamond cut process” to avoid getting fingerprints all over the device. The colors are Greenery, Prestige Gold, Dazzling Gold, White Ceramic, Mystic Silver, Graphite Black, Dazzling Blue, and Rose Gold. Not all colors will be available in all regions. 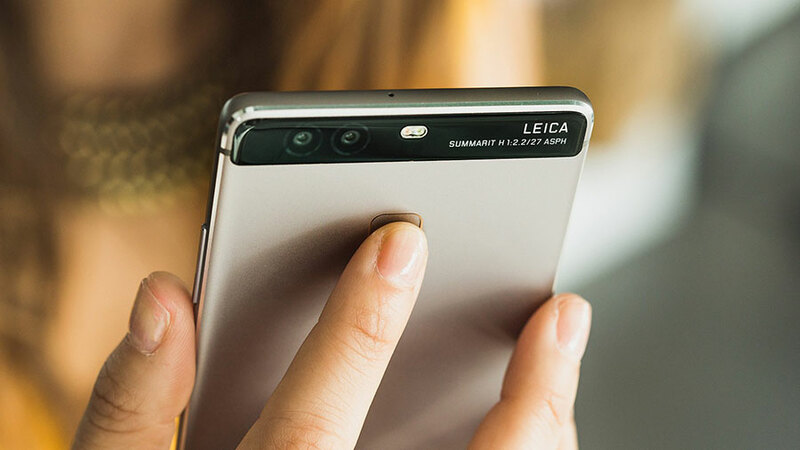 The phone has its home button on the front, and the camera lies completely flat on a panel that acts as a visor, protecting both cameras and their respective flash bulbs. The home button will also act as a fingerprint sensor, which Huawei assures are the best on the market. The button will have gestures enabled, allowing the user to go to the home screen with a tap, open the apps menu or see notifications with a swipe. Not all gestures are implemented on the phone, but this will be fixed in a future update, as assured by the company. The button will have gestures enabled, allowing the user to go to the home screen with a tap, open the apps menu or see notifications with a swipe. Not all gestures are implemented on the phone, but this will be fixed in a future update, as assured by the company. The P10 will feature a 5.1-inch LCD screen with 1920 x 1080 resolution, a 64-bit 8-core processor with 4GB RAM, 64GB of disk drive storage, Leica dual 12 and 20 MP cameras, a 3,200mAh non-removable battery, and Android 7.0 Nougat. On the other hand, the P10 Plus will be precisely that, a little better version of the smartphone by featuring a 5.5-inch screen, 2560 x 1440 resolution, the same processor, 4 or 6 GB RAM, 64 or 128 disk drive memory, a slightly better rear camera with an additional 0.2 aperture, and a 3,750mAh battery. Critics are also enjoying that the P10 is relatively light and comfortable compared to other smartphones. The standard version is 145.3 x 69.3 x 6.98mm and weighs just 145 grams, while the P10 Plus is 153.5 x 74.2 x 6.98mm and 165 grams. The P10 will come with Huawei’s EMUI 5.1 overlay, which will adapt to the smartphone’s color, making a pleasurable experience when the user first turns on the phone. The phone will come with Highlights, a photo and video editing suite designed to be fast and easy to use. The software is partnered with GoPro, allowing the user to create highlight reels of photos and videos, being able to add music, transitions, cutouts and much more.